Ranked among the top carriers in the U.S., Mercer Transportation has earned a reputation as one of the nation’s leading owner operator companies. For forty years, Mercer has built a family of contractors on the foundation of honesty, professional freedom and experience. Mercer is an irregular route carrier that operates an owner operator fleet of more than 2,300 trucks with no company-owned equipment. Primarily, Mercer is a truckload carrier of general commodities, offering flatbed, stepdeck and dry van services. Our logistics system operates with authority for the continental United States, Canada and interline contracts into Mexico. The Mercer headquarters in Louisville, KY is proud to maintain a family atmosphere that encourages contractors to make themselves at home. Our open door policy welcomes contractors to work directly with their freight coordinator and the Mercer staff. 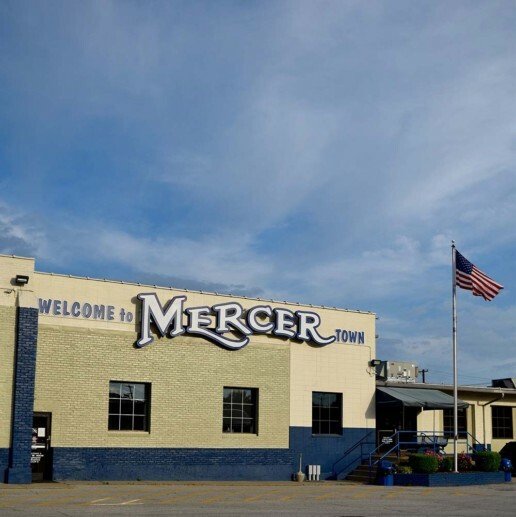 In addition, Mercer’s on-site driver lounge offers TV rooms, complimentary showers and laundry room, and 24 hour truck parking to ensure the comfort of all visiting contractors. Stop by and say hello!